If approved by the Chinese central regime, Hu Jintao will be following examples of his predecessors Deng Xiaoping and Jiang Zemin, who both retained power over the military for two years after their 10-year tenure as state Party chairman was up. But living in Jiang’s and his faction’s shadow, Hu has fought a harder and longer battle than his predecessors in gaining the military’s support, and he achieved success only in the final year of his 10-year tenure. 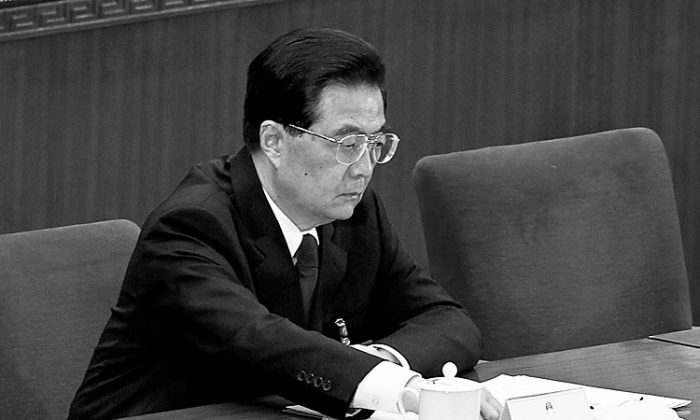 While Hu Jintao gained control over the armed forces in Beijing around 2007, he also “banished” Jiang Zemin’s handpicked heir, Bo Xilai, out of Beijing to head the southwestern city of Chongqing. Losing hope of getting into the Politburo Standing Committee, China’s top nine-member circle, Bo sought alliance with local military commanders to realize his ambitions. Bo then initiated his “singing red and smashing black” campaigns, a revival of ultra leftist red culture and crackdown on crime, reminiscent of Mao’s Cultural Revolution. But the smashing black was often used as an excuse to frame civilian business owners and political rivals, and to confiscate their properties. Bo also used his stardom-like popularity to challenge the less radical Hu-Wen government. “Bo didn’t seem to care whether Hu Jintao was alarmed. He not only continued his high-key “singing red and smashing black” campaigns, arresting over 600 gang leaders, but also took the opportunity to expand the police force,” according to former Xinhua journalist Jiang Weiping. “In addition, Bo actively built relationships with the Chengdu military command, and secretly connected with military bosses like Zhang Haiyang to plot future actions,” Jiang Weiping said in a March 24 article on Chinesepen.org. “This fully revealed Bo’s ambition to seize a top leadership position,” he said. According to the article, Jiang Weiping has known Bo Xilai for decades and spent six years in jail for publishing Bo’s and other officials’ corruption stories in Hong Kong media. While in office, Bo recruited many policemen from all over the country, purchased armored vehicles and expensive Italian motorcycles, and established highly publicized new teams, such as the “Police Flower Team,” formed by good-looking young women, and the “State Guests Convoy Team.” Bo also donated over 2 billion yuan (approximately US$300 million) to the Chengdu military command. Former Chengdu billionaire property developer, Li Jun, who defected from China in 2010, told the Financial Times how he was framed, jailed, tortured, and blackmailed by Bo and his subordinates. Li said his captors ordered him to pay 40 million yuan to a Chengdu military unit before they set him free. He was also given a list of 20 military officers and told to accuse them of breaking the law. Li said he felt he was being used to purge Bo’s political opponents. “Bo Xilai … victimized me to please [military boss] Zhang Haiyang in order to gain military support for his promotion during the 18th CCP National Conference,” Li told China.dwnews.com in July 2011. In 2009, Bo promoted his pal, Wang Lijun, former Chongqing police chief and deputy mayor, to lead the armed police, a 10,000 people troop. The support Bo thus garnered gave him more power to confront Hu. In 2010, Bo took his “Red Song Choir” to Beijing, which was interpreted as a direct challenge to Hu’s leadership. Several senior military officers attended the performance, while no Politburo members showed up. An even bolder challenge came in November 2011 when Bo attended a major military exercise held by the Chengdu military command while Hu was attending the APEC summit in the United States. Defense Minister and Central Military Commission member, Liang Guanglie, and local military chiefs also attended the exercise. As relationships between local government leaders and local military forces have always been taboo in the CCP’s power structure, Bo’s actions not only alarmed Hu, but also shocked China’s political world, Jiang Weiping said in the Chinesepen article, quoting a Beijing insider. Many officials felt that Hu Jintao needed to take decisive actions against Bo, or else there might be a coup at any time, the Beijing insider said. Hong Kong-based Mingjingnews.com reported on March 30 that Bo purchased large amounts of weapons and ammunition through Wang Lijun to establish his own armed force. Hu’s early responses to Bo were low-key and mainly through staffing changes. In 2009, the political commissar of Chengdu’s military command, Zhang Haiyang, Bo’s ally, was replaced by an officer from Xinjiang. Several other senior officers were replaced by officers transferred from other units. Hu’s full counter-attack started in July 2011 when rumors of Jiang Zemin’s death were released through Hong Kong media, a source told The Epoch Times. “That was the first step to test the water,” according to the source. The news of Jiang’s death, first announced by Asia Television on July 6, 2011, immediately caused excitement, with some Chinese even setting off firecrackers. Sources told The Epoch Times that by releasing the news, Hu was testing the Jiang faction’s reaction and power, and also evaluating Jiang’s health status by forcing him to make a public appearance. It was also to test the public’s response to determine if actions against Jiang and his faction would have the public’s support, sources said. Another important milestone in Hu’s fight was to form an alliance with his successor, Xi Jinping. This was accomplished with the help of Song Ping, Hu’s mentor, and Hu Deping, the son of former state leader Hu Yaobang, according to Hong Kong’s Frontline magazine. 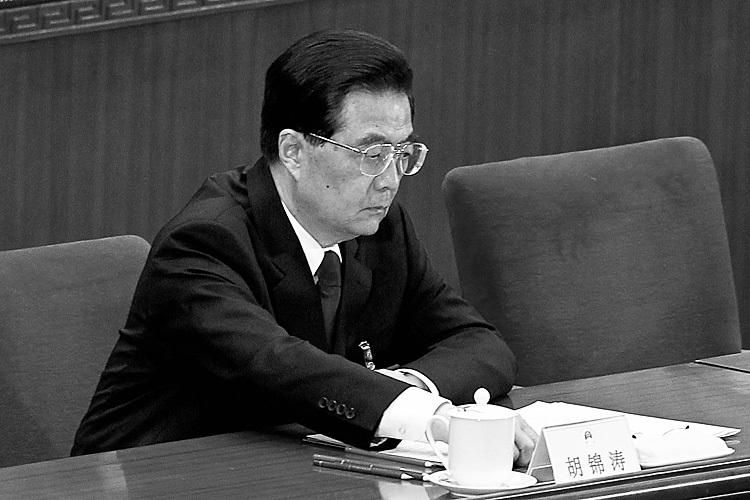 Hu Jintao needed an ally like Xi, who is both vice chairman of the Central Military Commission and a Politburo member. Xi, on the other hand, was content to let Hu and Wen remove the troublemaker Bo Xilai before the official power shift, according to Frontline. With Xi’s support, Hu was ready to assert his authority. Liu’s words caused a stir in the audience, but Hu and Xi merely listened without any expression, according to Hong Kong media reports. Since then, the Military Commission launched a series of anti-corruption campaigns, which were interpreted as an order to show loyalty to Hu. For example, Military Commission vice chairman Xu Caihou called on the military to “unconditionally obey the Party central leadership, the central Military Commission, and Chairman Hu.” This was the first time the military put Hu’s name in such context. Other senior officers also publicly pledged their loyalty to Hu on various occasions. In February 2012, Gu Junshan, the owner of the mansion General Liu Yuan ostracized at the conference, was charged with corruption. Gu, a former deputy head of the General Logistics Department, is said to be a relative of Bo Xilai’s wife, Gu Kailai.